Within each of these decks, you'll find twenty adversary cards that offer the most pertinent information about a host of non-player characters, giving Game Masters the ability to keep their games flowing without having to flip through various books. 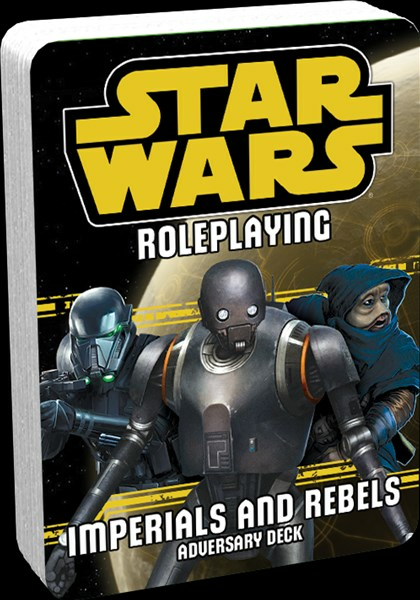 The Imperials and Rebels III Adversary Deck features enemies and allies found in all three of the Star Wars Roleplaying lines. 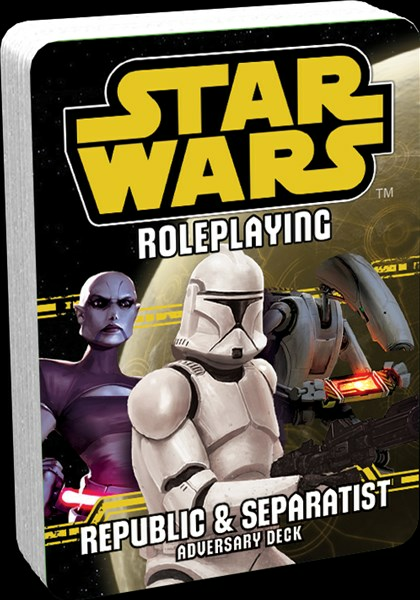 Meanwhile, the Republic and Separatist Adversary Deck features NPCs introduced in Rise of the Separatists, bringing characters of the prequel era to Star Wars Roleplaying adversary decks for the first time!